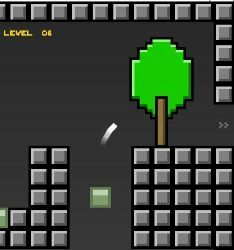 Guide the bouncing white dot through twenty levels that will push your platforming skills to the limit. 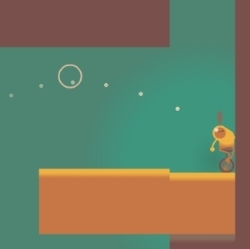 Master the techniques of wall jumping, air control, and using cannons and trampolines to reach your goal. 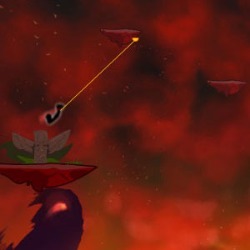 You have infinite lives, but try to complete each level in the shortest time with the fewest deaths. 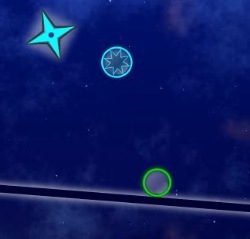 Move using the LEFT and RIGHT ARROW keys. Press ESC to pause, while paused press ESC to quit. Use the +/- keys to adjust the volume and M to mute the music. Press ENTER to start/restart the level. Click here to send Recoil to your friends using your default email program.